Sizes are determined by the diameter of each orb. 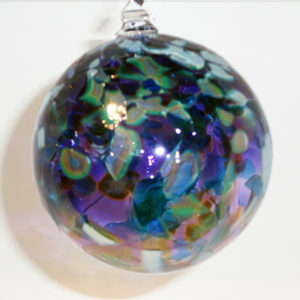 We make these blown glass pond floats much thicker than the other balls we create. They can easily withstand the weather outside while looking beautiful in your fountain, pond or garden. 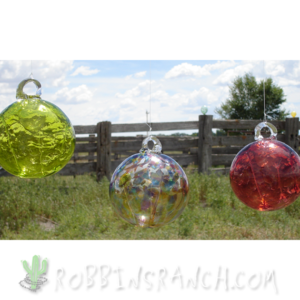 Each ball is created without a loop to hang. Instead, the hole where the ball is broken from the blow pipe is capped with a little flat button of clear. This creates an air tight seal so the ball will float. 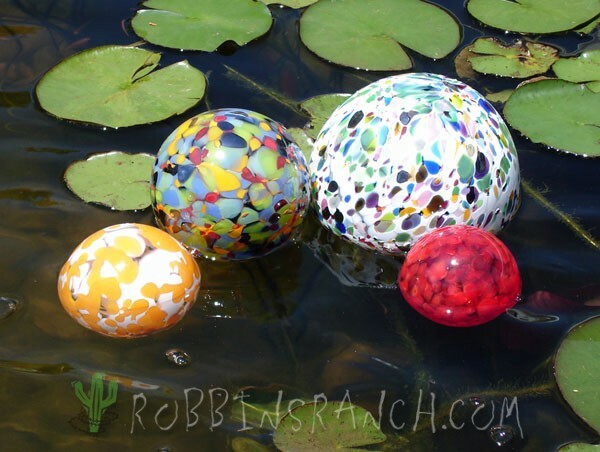 Our stout pond floats are sure to be safe while bobbing around the plants and rocks in your water feature. 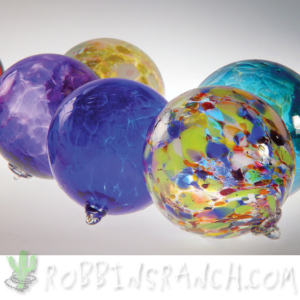 In addition, they make great decor pieces grouped together in a vase or bowl, for a pop of color.